Whenever I decide to get a haircut, I always want to go shorter just for the heck of it, but something always pulls me away from that decision and that is my favorite, effortless hairstyle– The High Messy Ponytail! This hairstyle is such an easy fix for a bad hair day! Sometimes I style my hair, straight or curly, then I go out to take pictures and my hair is just not falling right– I always just throw my hair up into this high pony! 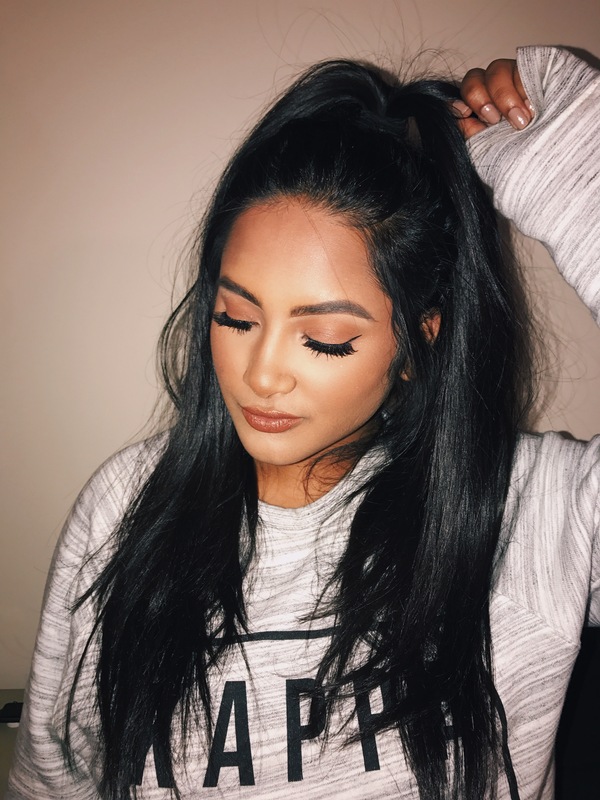 I think what MAKES this hairstyle is the messy look, so when you try out this look, be sure to pull your baby hairs out to frame your face! Check out the hair tutorial to find out exactly how I got this High Messy Ponytail!